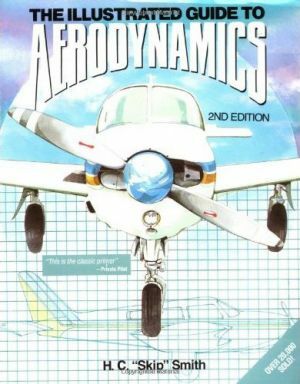 Most pilots and flight students wince at the mention of the term "aerodynamics" because most courses and books dealing with the subject do so using complicated scientific theory and mathematical formulas. And yet, an understanding of aerodynamics is essential to the people who operate and maintain airplanes. This unique introductory guide, which sold more than 20,000 copies in its first edition, proves that the principles of flight can be easy to understand, even fascinating, to pilots and technicians who want to know how and why an aircraft behaves as it does. Avoiding technical jargon and complex calculations, Hubert "Skip" Smith demonstrates how aerodynamic factors affect all aircraft in terms of lift, thrust, drag, in-air performance, stability, and control. Readers also get an inside look at how modern aircraft are designed-including all the steps in the design process, from concept to test flight and the reasoning behind them. A licensed pilot for forty years with a commercial certificate, instrument rating and flight and ground instructor certificates, H.C. "Skip" Smith is director of undergraduate studies in aerospace engineering at Pennsylvania State University. Second Edition, Softcover, 337 pages.